If your health issue is urgent, outside these times (or on weekends / Bank Holidays) you can contact the Out of Hours service on 01446 729562. 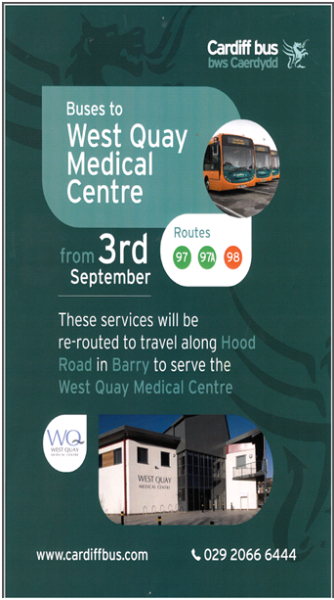 If you require urgent medical attention outside of normal surgery hours please call 01446 729562. This includes weekends and public holidays. You can also Choose Well during this time, please see our further information link on the website for further information.